Are you a solo female traveler and seeking to explore Golden Triangle tour? This is the most traversed circuit in India for first timers where one catches the glimpses of heritage, culture and historical monuments of India in a short span of time. Being a solo female traveler, you should not stop yourself to explore a country. With proper planning and taking care of certain things, a perfect India Triangle tour can be experienced. Traveling solo is a unique experience of its own kind where you not only discover the beauty of places but also make yourself strong enough to face anything that will come in front of you. We understand that safety is the major concern when traveling to India but with our travel tips, you can overcome this issue and have an exotic trip to be memorable for lifetime. Within the Golden Triangle Tour packages, you can explore the forts of Delhi, Taj Mahal in Agra and royalty of Jaipur. Do not share your personal information about where you are going to stay for Delhi Agra Jaipur Tour with strangers else you might become a victim and get trapped on the foreign place. It is unsafe to travel during the nights so avoid it and get into your room before it gets darker. Also, during the daytime, you can ask for help to someone and you will not be noticed by a stranger or stalker. Stay more in the public places rather than staying alone. Interact with more travel groups to ensure your safety. This will also enable you make new friends and have fun with them. They can also get you some good shots. To feel safer you can ask for female guides and female driver while booking Escorted tours India Golden Triangle. Stay connected with your family and keep them updated about location. Let them know about your plans and do share the important details with them including info about accommodation and travel agent. Keep the necessary documents in digital form along with some hard copies in case of loss or theft. Before departing for India, keep all the research complete and save the women helpline number – 181 in your phone. Remember few sentences in the local language, Hindi as well to have communication with the locals in case of any emergency. Find out a few landmarks near your hotel so that you can get back to the hotel with little sense of directions. Avoid wearing headphone to stay alert. Carry a first-aid kit and necessary medicines with you in case of an emergency. Dress according to the place you are staying. In metro cities like Delhi, Mumbai, Bangalore or Goa, it is normal to wear short dresses where legs and shoulder are not covered. But while traveling in rural areas or Rajasthan, you must wear dresses covering your body from top to bottom in order to avoid the attention and staring by locals. Also, while visiting any temple, remember to cover your head with a scarf. Do not travel in the midnight by public transport. If you are late somewhere then hire a cab from a reputed travel agent where your journey is tracked to ensure your safety and security. If you are traveling by metro or train then take the benefits of sitting in the ladies compartment. 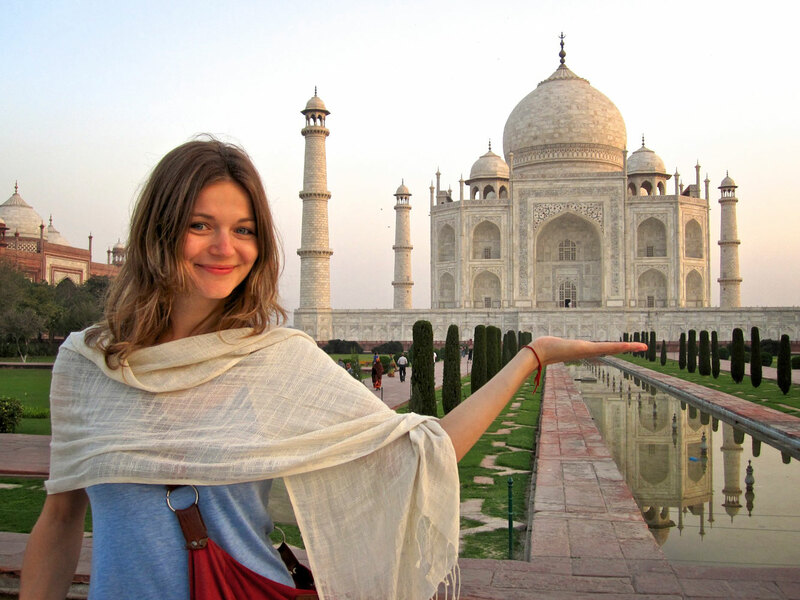 Explore Delhi Agra Jaipur Tour Package in India as a solo female traveler fearlessly and confidently. By following the above tips, you can enjoy a journey to India hassle-free.